We want to increase the safety of assisted walking and rehabilitative exercise in the home for patients who are discharged from hospitals before they are able to walk independently. Other aids such as walkers are helpful, but do not work on stairs or cramped washrooms. Conventional grab bars and handrails would solve the problem, but most are unwilling to install them as this would require permanently modifying the home (i.e. 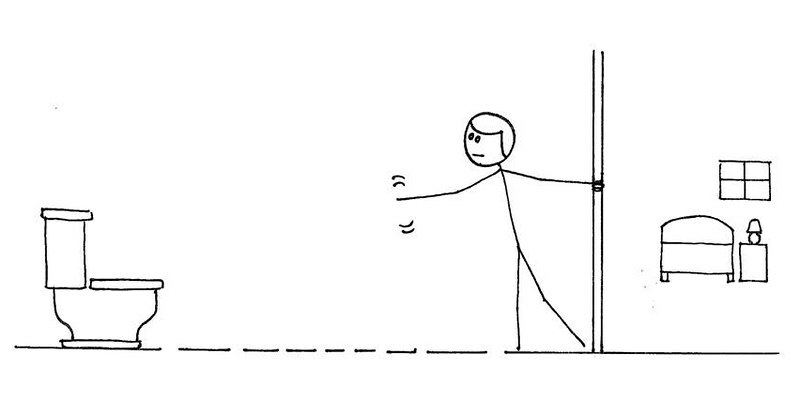 drilling into the walls or floor). Instead, many ‘furniture-walk’ and/or rely on the help of a caregiver to mobilize, which places them at a higher risk of falling. This also places the caregiver at risk of back injury in the event that the unsteady care recipient does fall and the caregiver attempts to catch him or her. We have developed the MoveEasy Pole System: an affordable, modular system of pressure-fit vertical grab poles and clip-on horizontal rails. The MoveEasy system can be easily installed in areas where the user needs support, and can be removed when it is no longer needed. This can provide stable and graspable support for walking and in-home exercise. The pressure-fit installation is easy and does not permanently modify the home, so that the poles and rails can be moved or removed as the needs of the user change. The pressure-fit pole design allows poles and handrails to be installed without screws or other permanent fixtures. The handrails also act as gates so that other rooms in the home are still accessible. The system can serve as parallel bars, as extra handrail support on stairs, or in many other useful arrangements. Working with industry partner Hart Vision Medical, we have turned MoveEasy into a commercial product that is now available for purchase. 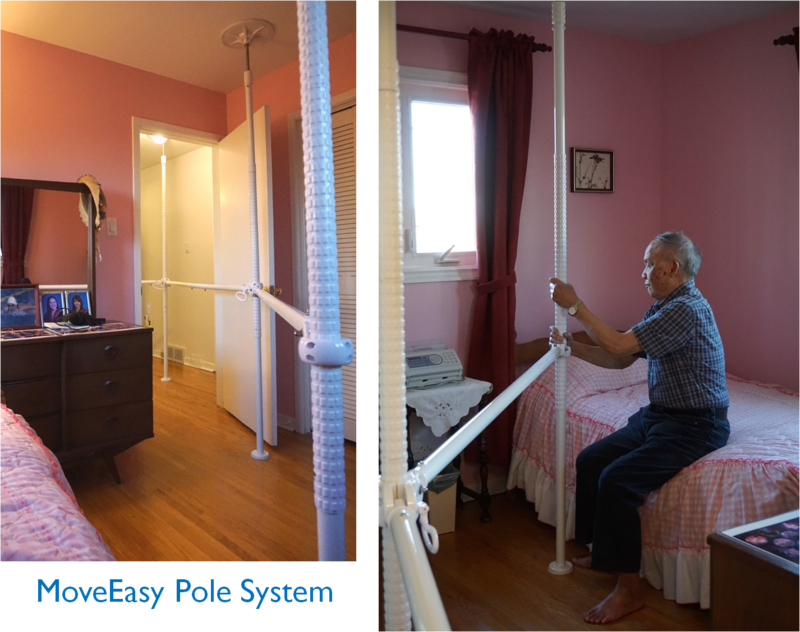 The MoveEasy Pole System has been installed in a number of homes across Canada to help users to mobilize more safely and independently. For more information or to purchase the system, please visit the EasyRange web page (http://www.hartvision.com/EasyRange_600Range.php). Vicki, Emily, Dan S, Tilak and Geoff.